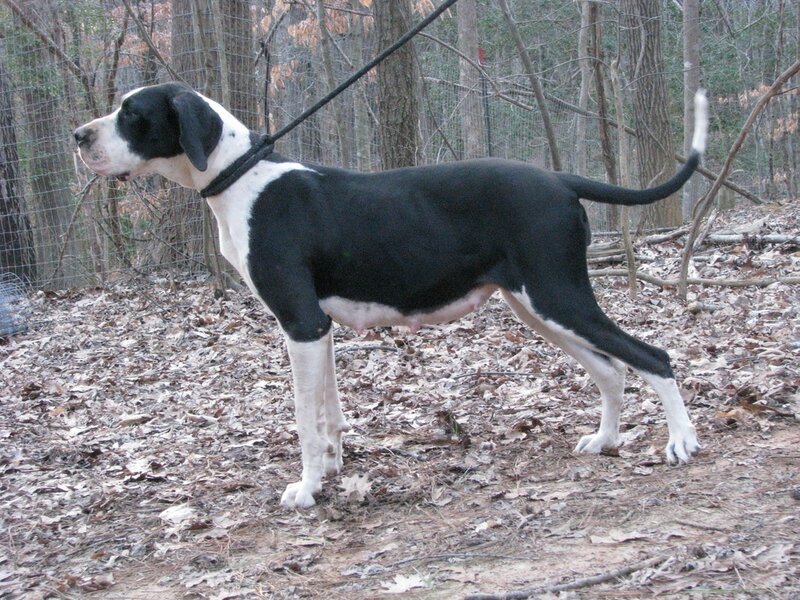 Bella Is our Harlequin girl, she's 75% euro 160 lbs and 33" at the shoulders. Daisy is our 100% European Mantle girl; she's 130lbs. and 33" at the shoulders.